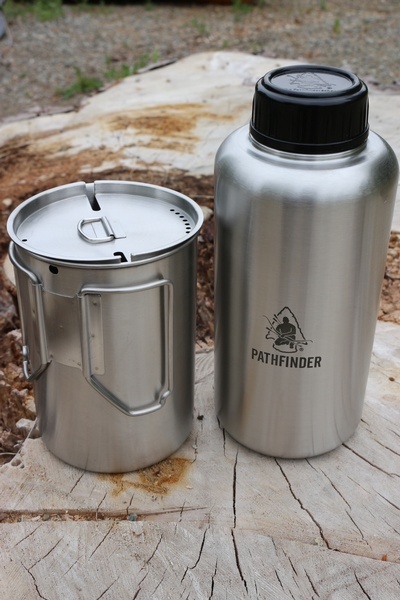 From Dave Canterbury and the Self Reliance Outfitters comes this big 64oz (1.89L) Waterbottle with Nesting Cup and lid. 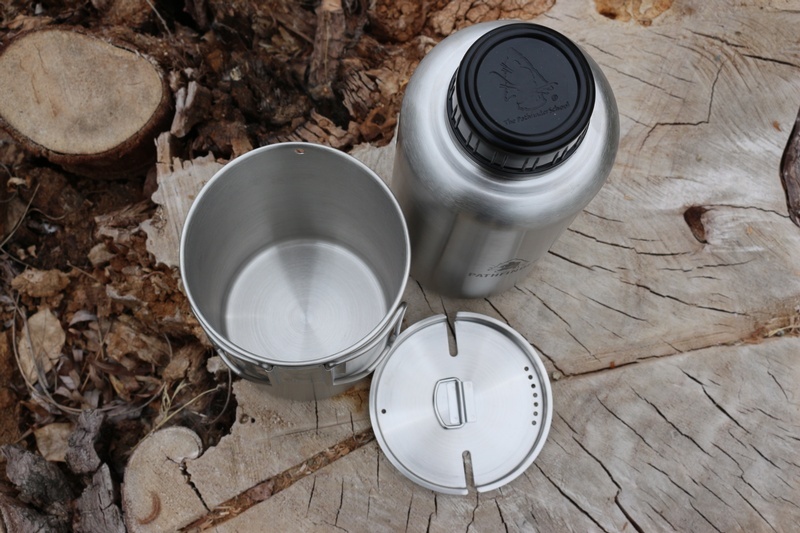 Well made 304 Stainless Steel Bottle is .5mm thick and provides a big helping of water. 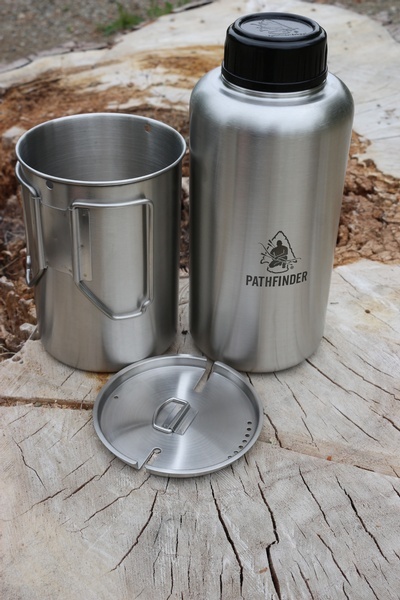 The 48oz (1300ML) Cup is the same quality and has the fold out handle and fill graduation markings on the inside. Purchase through PayPal by using the "Add To Cart" button above or use the form below to order the Pathfinder 64oz Stainless Steel water Bottle and Cup Set . 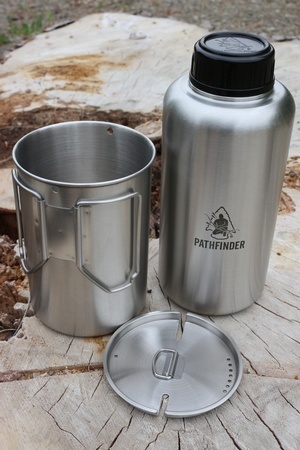 Feel free to contact us if you have any questions about the Pathfinder 64oz Stainless Steel water Bottle and Cup Set .